Style | A Holiday Party Dress Alternative! Man, December is flying by! It seems to every year and I always try my best to savor and enjoy every day and every festive activity. December is my favorite month so I'd be okay if slowed down a bit so we could celebrate even more Christmas in our home! I told myself I'd be done with my Christmas shopping by now too and guess what? ... I'm definitely not haha. But at least, I have most of it done. 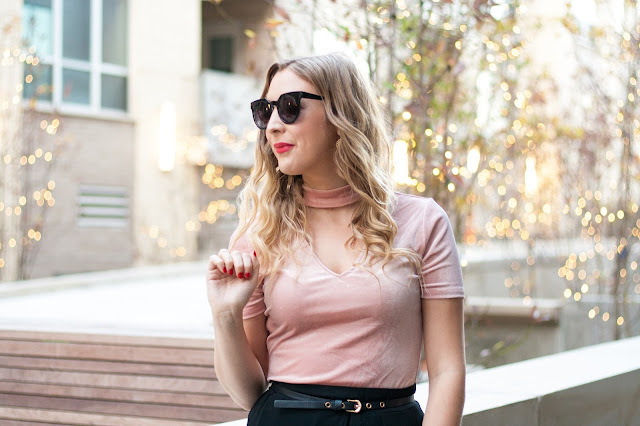 It's officially holiday party season and I have the perfect alternative for those of you who are bored of wearing your little black dress to every event! Let your lbd sit this one out and try a palazzo pant this year. I'm obsessed with these pants and I got them from Brittany's Beauty Box. I love the wide leg and the side slit detailing is so unique! 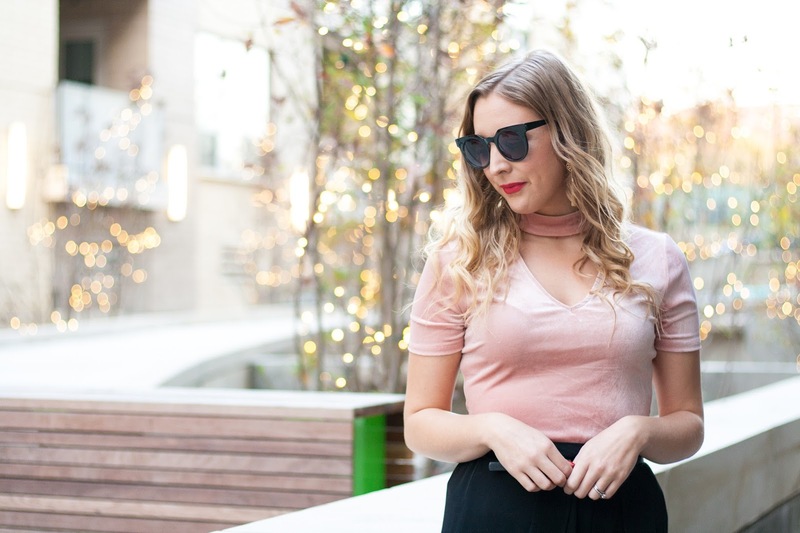 I think wide leg pants are the perfect choice for a refreshing holiday look. In a room of dresses, they really stand out! Plus, they look super chic. You could also try a maxi skirt so that you can pair it with a fun top! What do you plan on wearing to your next party? I've received product from Brittany's Beauty Box. All opinions are 100% my own. Thank you for supporting the companies that support BG by Christina!